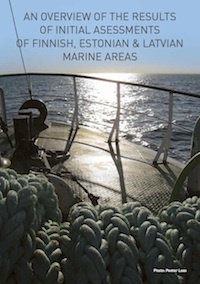 The GES-REG project has published a brochure with an overview of the results of Initial Assessments of Finnish, Estonian and Latvian marine areas. GES-REG project’s public seminar took place on 4 December 2013 in hotel Euroopa, Tallinn. A paper on recommendations for advancing the assessment and management of non-indigenous species in marine ecosystems has been written by Henn Ojaveer et al. The paper is co-authored by 21 scientists from Europe and North America and formulates generic needs to advance assessment and management of alien species in marine ecosystems. The paper has partly been supported from the GES-REG project. The abstract can be viewed and the article downloaded at ScienceDirect. 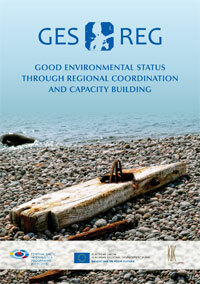 GES-REG project’s public seminar will take place on 4 December 2013 in hotel Euroopa. A paper on microplastics has been written by Outi Setälä et al. A paper about the potential transfer of microplastics in the planktonic food web has been written by Outi Setälä, Vivi Fleming-Lehtinen, and Maiju Lehtiniemi. The study was conducted and funded by the GES-REG project as part of the field studies about marine litter. The abstract can be viewed and the article downloaded in ScienceDirect. In the frames of the GES-REG project a seminar on the topics of marine litter and underwater noise was held on 24-25 January 2013. The seminar had distinguished speakers in the fields of both topics, including Thomas Maes, Kerstin Magnusson, Outi Setälä, Maija Balode, Michel André, Samuli Korpinen, Jukka Pajala, etc. The presentations from the seminar can be downloaded here. Marine litter/underwater noise seminar in Tallinn on 24-25 January 2013. In the frames of the GES-REG project a seminar on the topics of marine litter and underwater noise will be arranged in Tallinn on 24-25 January 2013. The seminar will take place at Tallink Spa & Conference Hotel. Speakers of the seminar are distinguished experts in the field from the Baltic Sea region and Europe. Language of the seminar is English. There is no seminar fee. For participation please register: mairi.uiboaed@msi.ttu.ee. The GES-REG project organized a seminar on food webs, alien invasive species, and their relationships, on Harakka island, Helsinki on 28-29 August 2012. The seminar had distinguished speakers on the field of Baltic food webs and non-indigenous species, including Michele Casini, Susa Niiranen, Henn Ojaveer, Maiju Lehtiniemi, and Riikka Puntila. Some of the presentations from the seminar are available for public viewing below. The project will organize a seminar on food webs, alien invasive species, and their relationships, in Helsinki 28-29 August 2012. The seminar has distinguished speakers on the field of Baltic food webs and non-indigenous species, including Michele Casini, Susa Niiranen, Henn Ojaveer, Maiju Lehtiniemi, and Anita Mäkinen. Venue of the seminar is Harakka island just outside Helsinki, few minutes’ ferry ride away from mainland. The seminar is intended for researchers, managers, and NGO representatives, and is free of charge. Register to the workshop by sending e-mail to Laura Uusitalo (laura.uusitalo@ymparisto.fi) by 14th August 2012. The next partner meeting along with the Steering Group meeting of GES-REG project will take place in Riga, Latvia on 7-8 June 2012. Language of the meeting is English. More information from the preliminary agenda (attached). In the frames of GES-REG project a seminar „Initial assessment of marine areas – status and harmonisation of the process in Northern Baltic“ will be held at the Ministry of Environment of Estonia on 23 May, 2012. GES-REG project has published a leaflet introducing the work and expected results of the project.